Don’t let “rainy days and Mondays get you down!” Eminent bean expert Dr. Emilio Katanga will hold forth this Monday on the cultural, political, and agricultural powers of red beans at the shop. Just a little teaser preview this morning, the full menu will come later. Have a look at what’s cooking in the kitchen for you this week: red beans and rice, fried chicken, brisket tacos, grilled chicken bacon ranch sandwich, and fried green tomatoes and shrimp po-boys! Special made Louisiana red beans & rice with hot water cornbread. Our red beans come full of flavor, cooked in our own house made smoked ham hock stock. Our red beans, grown in clear mountain air, nourished by salty rains off the ocean, and bedded in super-fertile soil, come to us from the loving hands of bean-harvesting mountain gorillas. Yes, the untold story of these farmer gorillas makes us marvel at the power of nature: a tribe of gorillas, hidden in the central African mountain jungles, decided to cultivate beans for their gargantuan vegetarian diets. The rarified air and the careful cultivating and hand-harvesting make, well, majestically airy beans. Some folks say these beans make them feel as if they’re floating on a magic carpet. Come take a magic carpet ride with us this Monday. Gorilla farmer Dr. Emilio Katanga explaining the benefits of pesticide and herbicide free beans to agricultural experts in Bwindi, Uganda. Dr. Suess wrote in one of his great stories: “Be who you are and say what you feel because those who mind don’t matter and those who matter don’t mind.” Yep. There it is. Life philosophy from the Cat in the Hat — who loved mountain gorilla beans, by the way. That’s how he stayed so airily happy. 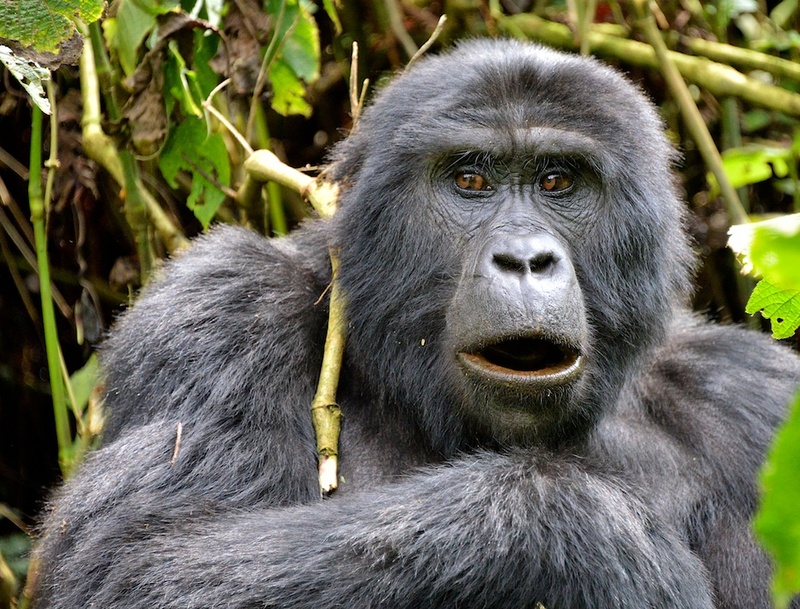 Photo Credit: “Mountain Gorilla in Bwindi, Uganda,” Creative Commons.org.